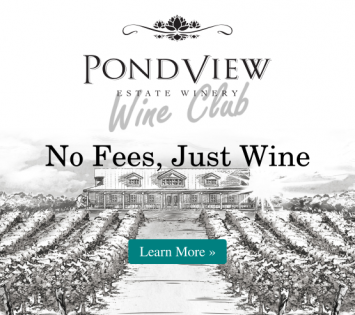 Sunday, May 14th- Join us at Pondview for Mother's Day Brunch! Pondview is celebrating Mother's Day this year with a special "Mother's Day Brunch" created by the Canadiana A Go-Go Food Truck. With special menu items designed to please everyone, Pondview is a great place to come out and visit with your mother, grandmother, aunt, or any other special person you'd like to celebrate with. Treat them to a glass of wine on the patio, paired with any of the Canadiana food truck's featured dishes. Breakfast Poutine: Peameal and maple bacon, hollandaise sauce, poached egg, and cheddar cheese, all on top of a potato hash. Priced at $12.50. Lemon Ricotta Pancakes: Galliano whipped cream, fruit, and maple syrup from Fenwick. Priced at $12.50. Alberta Beef Tenderloin Sliders, with Potato Croquettes: Oka cheese, horseradish aioli, and arugula on marble rye sliders. Priced at $13.00. Eggs Benny: Poached egg in a potato nest, topped with roasted pulled pork, sharp Ontario cheddar, hollandaise and onion sprouts, with a toasted and buttered English muffin. Priced at $12.50. Great Canadian Breakfast Sandwich en Brioche: Peameal and maple bacon, fried egg, sharp Ontario cheddar, lettuce and tomato with potato croquettes. Priced at $12.50. The Canadiana A Go-Go food truck will be here and serving their amazing food from 12:00 to 4:00, so make sure you stop by Pondview Estate Winery!